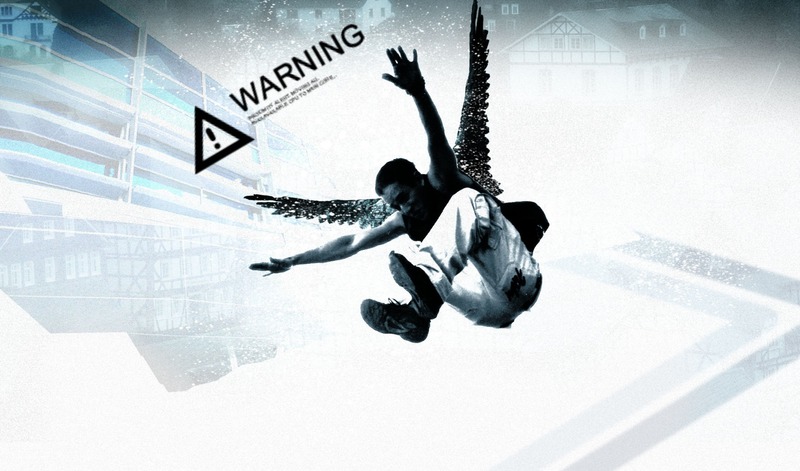 In 2012, the men and women of the Urban Gods Parkour team, gathered for an amazing event, showcasing their incredible free-running skills. This poster design was sold on site to raise money for a charity for under privileged children. I started out with a picture of one of the athletes leaping over an obstacle. Unfortunately, at the time, our amazing photographer was under the weather and I was forced to take a photo with a camera phone. Afterwards, I began working on the background for our main subject. I knew that because of the quality of my terrible photography, I was going to have to match the graininess of the main subject with that of the background. With that said, I began piecing together photos of amazing places around the world that I thought were interesting enough from an architectural standing to add to the composition. After the background was completed, I wanted to make sure that I added a grainy texture and some paint splatters to make it have a bit more movement, and to enhance the grainy feel.